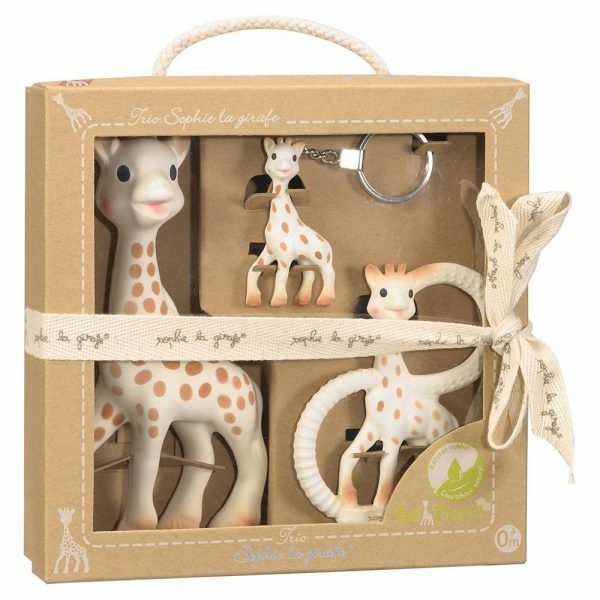 This Sophie the Giraffe trio box set makes an ideal gift and contains 3 Sophie the Giraffe teether toys and is ideal for babies during the teething stage or simply as their first toy. 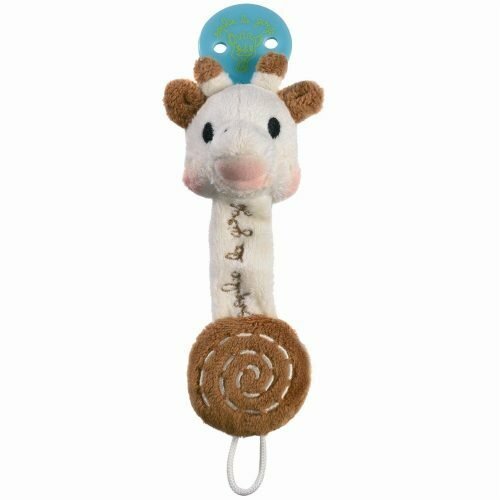 Sophie the Giraffe, baby’s first toy in 100% natural rubber to stimulate all the senses. 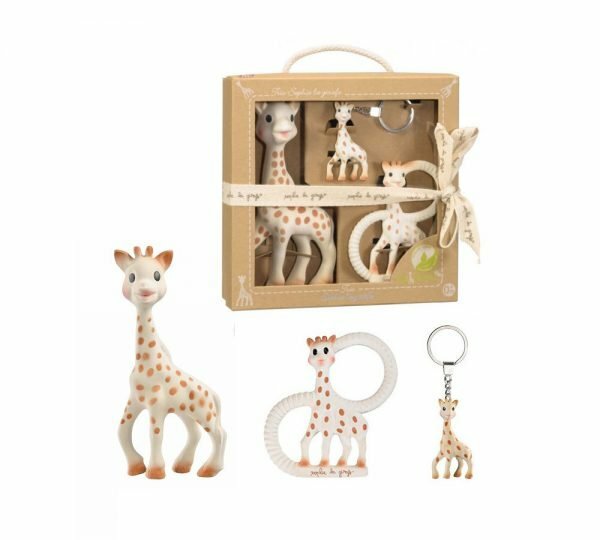 A Sophie the Giraffe keyring in 100% natural rubber, so Mummy can have her very own effigy of Sophie the Giraffe. 1 Two kids was set up as a family business in Spring 2008. 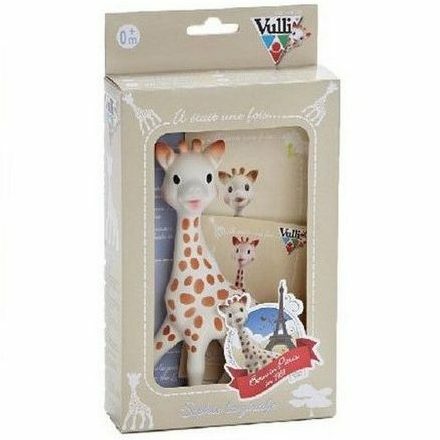 The company was set up when friends of the family came back from holiday in France with a gift for their newborn twins, their very own Sophie la girafe, hand made from natural rubber. The could see how much their children loved Sophie the Giraffe and then all their friends did too! 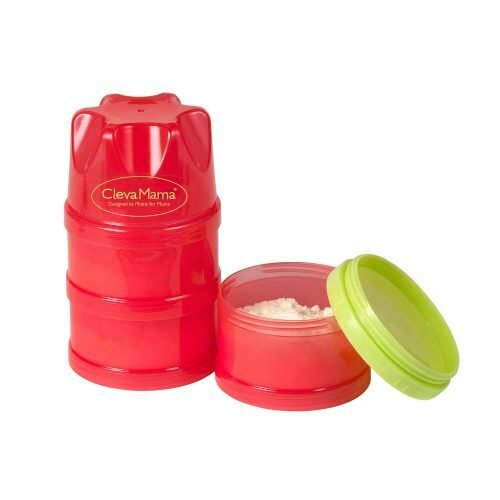 At this time Sophie wasn't available in the UK so they decided to set up a small business searching for fantastic baby gifts and products and distribute them arounf the UK and Ireland. 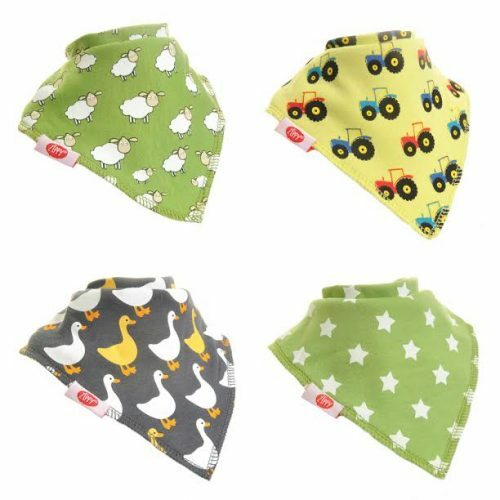 Pitter Patter Toys & Nursery are delighted to stock some of the beautiful baby gifts from 1 Two Kids such as Sophie la girafe and The Milestone Range. 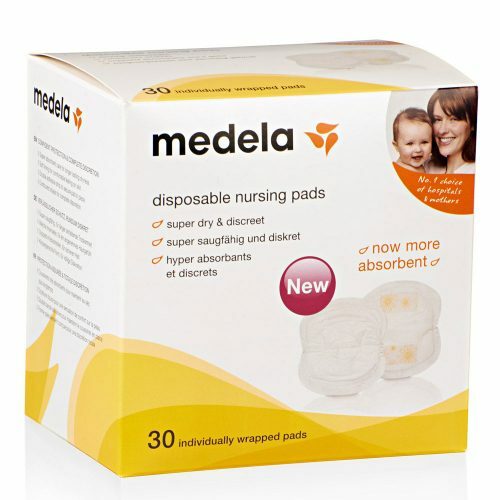 All of our 1 Two Kids baby gifts are available from our store for delivery to anywhere throughout Ireland.